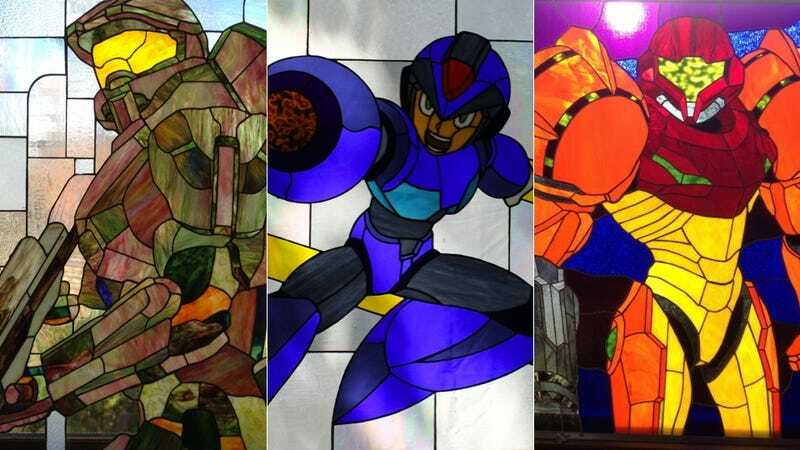 If you grew up Catholic like me, you can only have one response to seeing the creation above: "Holy Samus, Mother of Metroid, hallowed be thy name." Hang these translucent beauties where they can catch some sun and you might see people genuflecting. Those glowing renditions are the work of Evan Daniels, who sells his wares out of the Martian GlassWorks shop on Etsy. This kind of craftsmanship doesn't come cheap but it's adman sight more classy than a poster or a statue.